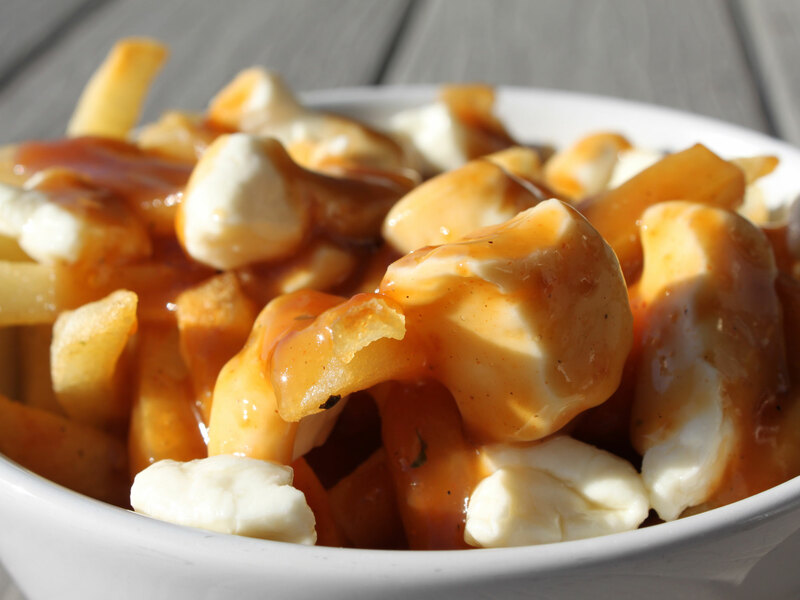 In Quebec the law is the same as every province in Canada (except Alberta), allowing fresh curds to be sold at room temperature for 24 hours after the manufacturing date. However, most inspectors in Western Canada are not aware of this law. Therefore retailers keep cheese curds refrigerated at all times. It’s also important to note that the amount of people per capita in Manitoba is much lower than in Québec, making it more difficult to manufacture and deliver fresh curds throughout the province every day. The squeak happens with fresh cheese, especially fresh cheddar cheese curds. When curds are delivered to a retailer at room temperature and sold fresh (at room temperature) within the first 24 hours after the manufacturing date, the cheese will be VERY squeaky. Once refrigerated, the squeak will last for approximately 4 to 5 days, as long as they are manufactured without too much moisture. If you buy Bothwell Squeak’rs the day they are made (Monday – white curds / Tuesday – coloured curds) from the factory store they will certainly squeak! Bringing Squeaky Back – If you can’t purchase your curds fresh from the Bothwell Cheese shop, the best way to get the squeak back is to let the cheddar cheese curds temper outside of the refrigerator before eating them. Keep them in the original package so they do not dry out and eat after 20-30 minutes (avoid spoilage – don’t leave out too long!). Alternatively you can throw them in hot gravy for a delicious poutine or in hot soup. They can also be gently warmed for 5-10 seconds in the microwave. Not too long though – or you will end up with a puddle of squeak! I hope this information is helpful Wilma and that we’ve given you the tools required to bring some squeak back into your life!